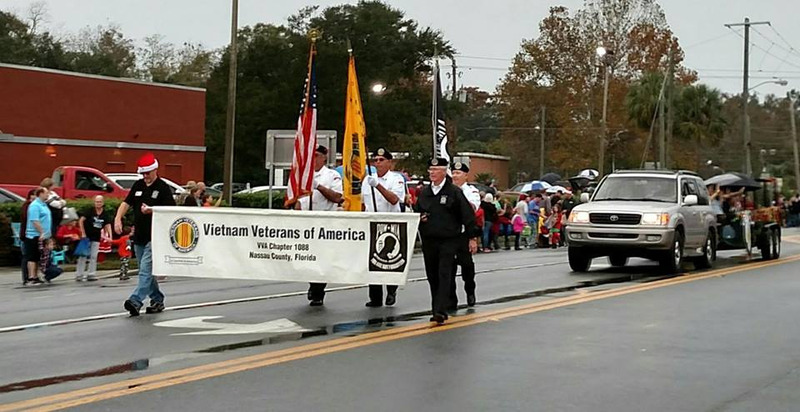 You will find information on Vietnam Veterans of America, VVA Chapter 1088, serving Nassau County, FL and Camden County, GA. We have also provided important information on issues that affect the health and benefits affecting not only Vietnam Veterans, but veterans of all eras, as well as their families. VVA Chapter 1088 is also committed to serving our community and their citizens. Please take the time to check out the many pages of information on the website. You will find information on membership, events and services available to help veterans. The VVA 1088 website has been recognized by VVA Florida State Council as the best VVA website in the State of Florida for 2 of the last 3 years. We will continue to strive to make this website relevant and informative to our members and the public. Thank you once again and "Welcome Home". 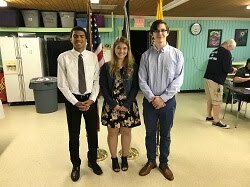 "Proudly Serving Nassau and Camden County"
At our April meeting Chapter 1088 awarded 3 scholarships to 3 deserving students. At our May meeting 2 more scholarships will be awarded to 2 more deserving students. Each year,VVA 1088 awards several scholarships to deserving students in our community. There have been many thank you letters received by the Chapter. Here is just one. CLICK HERE. Thank you to our scholarship committee members for all their hard work. Chairperson: Linda Cravey. VVA Chapter 1088 is committed to being an active part of our community. Our members take an active part in events going on in Nassau and Camden Counties. Please take the time to review these upcoming events and enter them on your calendars. 1088 Officers "Who We Are"
CALLAHAN CHRISTMAS DAY PARADE HAD QUITE A TURN OUT DESPITE THE RAIN! 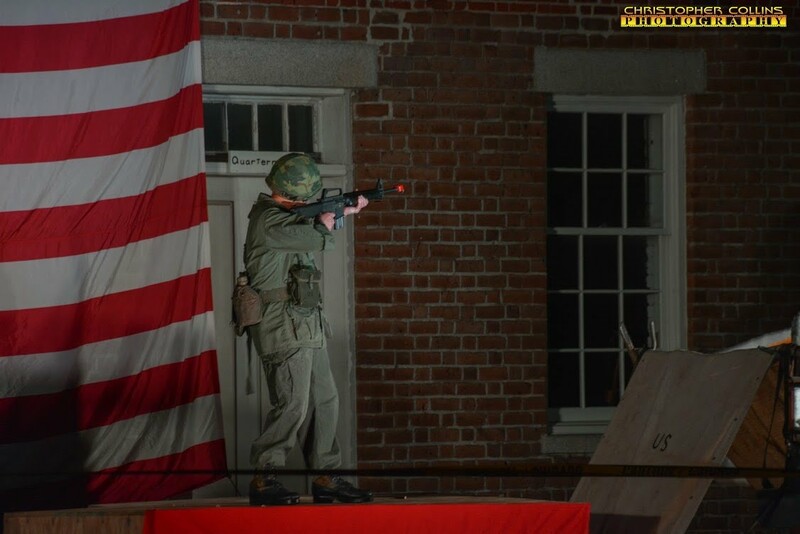 Veterans Day celebration at Ft Clinch Began with our Color Guard Presenting the Colors and Dave Roeser dressed in Jungle fatigues fired a M16 in the program. Our Color Guard and supporting members really enjoyed a fine evening participating in the Fernandina Beach Christmas Parade. A very large crowd was there to watch the Parade. 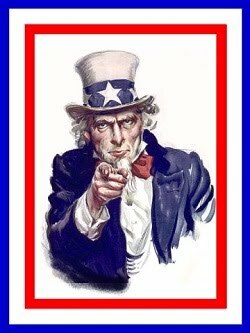 We Need Your Help to reach out to and serve ‘our’ veterans from all eras…..not only in Nassau and Camden Counties…..but throughout the great State of Florida and nationwide! Iraq, Afghanistan, and many other areas of service. We Need Your Help to achieve our continuing mission. CLICK HERE to view VVA's mission. You may choose to donate to VVA 1088 for many reasons. For so many veterans…we Thank You for your generosity. 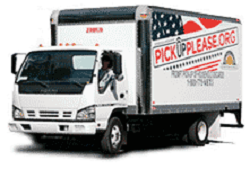 Schedule a free pickup at your home to help our Vets. 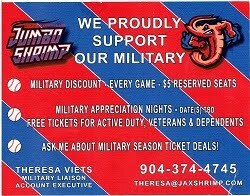 2019 Promises to be an exciting year for the Jacksonville Jumbo Shrimp as Parent Miami Marlins rebuild. Check out attached article from Florida Times Union by clicking here. We Appreciate all of our sponsors. Please take the time to review the list of these important supporters by CLICKING HERE. To get more information on becoming a VVA 1088 sponsor, CLICK HERE. CLICK HERE to be directed to Veterans Administration Crisis Line Website.